From day one, Anthem has always been on the cusp of the progressive, innovative and contemporary. While our print days are behind us, we have never lost sight of the motivations that got us into this industry over a decade ago. As we adapt and continue to stay true to our editorial mission in this constantly—and rapidly—changing environment, it’s more important than ever for us to stand our ground and pursue the aspirational aims we have always striven for, regardless of the medium. It is our goal to continue to distinguish ourselves through honest, objective journalism that is firmly embedded with a unique voice of its own that revolves around the cultural icons and happenings we respect, identify ourselves through, and draw inspiration from. 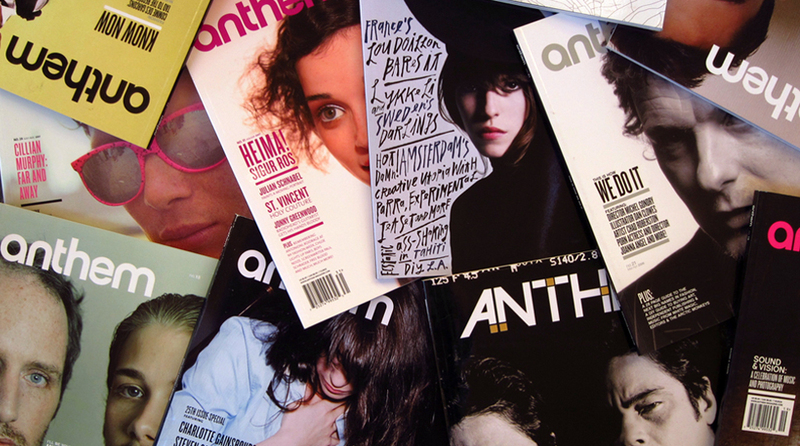 Continue to visit our online home for our weekly offerings in the worlds of film, music, fashion, art, and design, and be sure to keep an eye out for the Anthem logo as you’ll continue to find it scattered around the world. From Los Angeles to London, New York City to Tokyo, our brand serves as a mark of authenticity propping up a community which, like us, does things differently.